Often, our intimate relationships with others result in painful breakups. Unfortunately, parties sometimes accuse each other of acting in an alarming and harassing manner. Some vindictive parties use the courts to seek anti-harassment orders and use them offensively against others instead of shields to protect themselves. 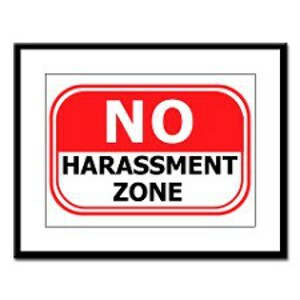 Unlawful Harassment occurs when another knowingly and willfully seriously annoys, harasses, alarms, or acts in a way that is detrimental to another and such a person’s actions serve no legal or legitimate purpose. This statute also requires that the harassing behavior occur on more than one occasion or through a course of conduct. Much is at stake if the petitioner prevails against you in anti-harassment cases. You may be restrained from contact, prohibited from going to certain locations, required to surrender weapons and your liberties and freedoms may be compromised. Furthermore, a violation of a protection order is a gross misdemeanor and/or possible a felony. Fortunately, Alexander represents respondents named in anti-harassment petitions. He is very experienced in representing individuals in these claims. He is a staunch advocate who files the appropriate legal paperwork and appears at his client’s hearings to make legal arguments and cross examine witnesses on his client’s behalf. If you or someone you care about wants to defend against someone imposing of an anti-harassment Order in Skagit County or Whatcom County, call attorney Alexander Ransom today for a free, no-pressure case evaluation. Alexander has a reputation in the legal community as an aggressive, effective and experienced criminal defense attorney. He is here to assist you through these difficult times.